~ Ideal for lighting buildings, areas & features. 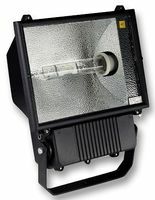 ~ Halogen & Sodium produce a soft warm light while Metal Halide produces a crisp light which gives good colour rendering. ~ All lights come fitted with a 16 amp waterproof plug & are supplied with a floor stand or hook clamp & safety chain. 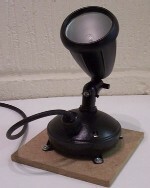 A small & compact IP44 black die-cast 75 Watt spotlight ideal for illuminating special features or uplighting buildings, pillars etc. This light is designed to sit on the ground & comes fixed to a floor base, a hook clamp can be fitted if required. 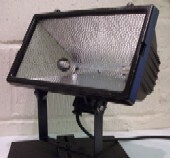 150 Watt floodlight ideal for floodlighting small areas or lighting small buildings & features. 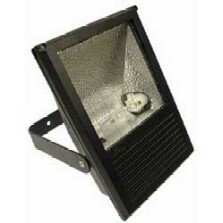 A medium IP44 black aluminium die-cast floodlight supplied with a 300 Watt or 500 Watt lamp ideal for floodlighting small to medium areas or lighting small to medium buildings & features. A large IP44 black aluminium die-cast 1000 Watt floodlight ideal for floodlighting large areas or lighting large buildings & features. 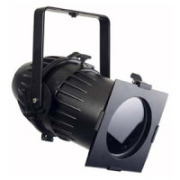 An IP66 black lantern fitted with a 1000W Halogen PAR 64 lamp available in spot, medium & wide lamp versions. Ideal for lighting wide or narrow areas depending on the lamp fitted. The lantern has a long light throw ideal for lighting tall or distant objects. The front of the unit is fitted with a removable filter frame allowing many different coloured filters to be fitted to produce the required light colour. A medium grey aluminium die-cast floodlight fitted with 160 LED’s, available in various static colours of white, red, blue, green, yellow or orange & in a colour changing version which slowly fades through various colours. 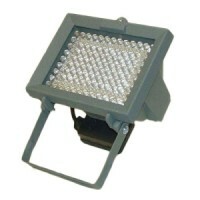 Ideal for floodlighting small to medium areas or lighting small to medium buildings & features. The Flood has a long light throw distance making it ideal for lighting tall or distant features. This Outdoor Tri Par is suitable for architectural and stage lighting and can be used for both interior and exterior applications (IP-65 rated). The housing is made of aluminium alloy and is gasket sealed. A 0.5 Meter long compact, heavy duty waterproof batten fitted with 114 ultra bright 10mm red, green & blue LEDs. The whole of the batten is controlled as one. The batten can produce powerful colour washes from its rich colour pallet. 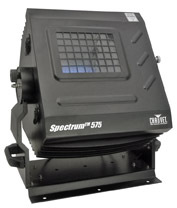 It has built in patterns, sound to light and precise control by up to 5 channels of DMX. All of the battens functions and settings are controlled & set by an infrared remote control. A 1 Meter long compact, heavy duty waterproof batten fitted with 240 ultra bright 10mm red, green & blue LEDs. The whole of the batten is controlled as one. The batten can produce powerful colour washes from its rich colour pallet. 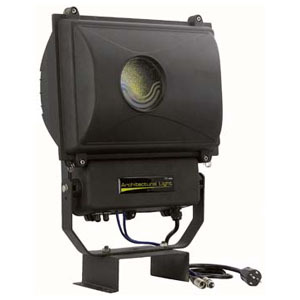 It has built in patterns, sound to light and precise control by up to 5 channels of DMX. All of the battens functions and settings are controlled & set by an infrared remote control. 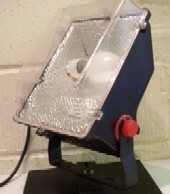 A medium IP55 black ABS floodlight supplied with a 70 Watt Sodium Discharge lamp, ideal for floodlighting small to medium areas or lighting small to medium buildings & features. A large IP65 black aluminium die-cast floodlight supplied with a 400 Watt Sodium Discharge lamp, ideal for floodlighting large areas or lighting large buildings & features. A medium IP65 black aluminium die-cast floodlight supplied with a 150 Watt Metal Halide Discharge lamp, the lamp produces a high quality cool crisp white light ideal for medium scale exhibition, retail & architecture lighting. A medium IP65 black aluminium die-cast floodlight supplied with a blue, green or magenta 150 Watt Metal Halide Discharge lamp, the lamp produces a high quality crisp coloured light ideal for medium scale exhibition, retail & architecture lighting. 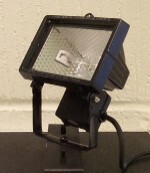 A medium IP65 black wash light fitted with a 150 Watt CDM Discharge lamp. This light is fitted with CMY colour mixing which allows you to create any desired colour, also featuring a motorised dimmer., this is an ideal light for illuminating small to medium building & features. The light can be controlled via a DMX controller or via the units own built in stand alone programs with varying timed effects, colour changes & synchronous or contrasting operation of multiple units. A large IP65 black aluminium die-cast floodlight supplied with a 400 Watt Metal Halide Discharge lamp, the lamp produces a high quality cool crisp white light ideal for large scale exhibition, retail & architecture lighting. A large IP65 black aluminium die-cast floodlight supplied with a blue, green or magenta 400 Watt Metal Halide Discharge lamp, the lamp produces a high quality crisp coloured light ideal for large scale exhibition, retail & architecture lighting. 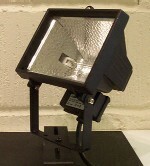 A large IP54 black wash light fitted with a 575 Watt MSR Discharge lamp. This light is fitted with CMY colour mixing which allows you to create any desired colour, also featuring a motorised 7 – 40 degree zoom allowing it to be used on small to large scale projects and a full motorised dimmer. 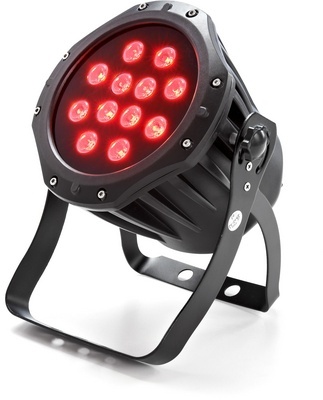 This light can be controlled via a DMX controller or via the units own built in stand alone programs with varying timed effects, colour changes & synchronous or contrasting operation of multiple units.